The most addictive physics game Tower blocks crafter A Physics game now available on store and its free ! Tower Blocks Crafter A physics game is classical stacking game with a fun and minimalist game play. 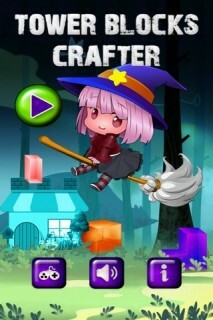 In a Tower Blocks Crafter you have to stack blocks on top of each other to build as high . Reach for the top in an addictive game that will test your brain reflexes skills . 2. Test your skills with amazing tower blocks game . 3. Challenge yourself and your friend with highly addictive tower building game. 4. Perfect time killer puzzle game for all ages.